A unique collection of inspiring ideas and workshops to spark your creativity. This amazing event will be held in historic Saint Joseph, Missouri on Saturday September 29, 2012 from 9-5 at ROC Fellowship (2606 Sycamore Court). There will be fabulous vendors selling their wares, some with demonstrations, to shop at all day. This event is open to the public with a $5 admission. 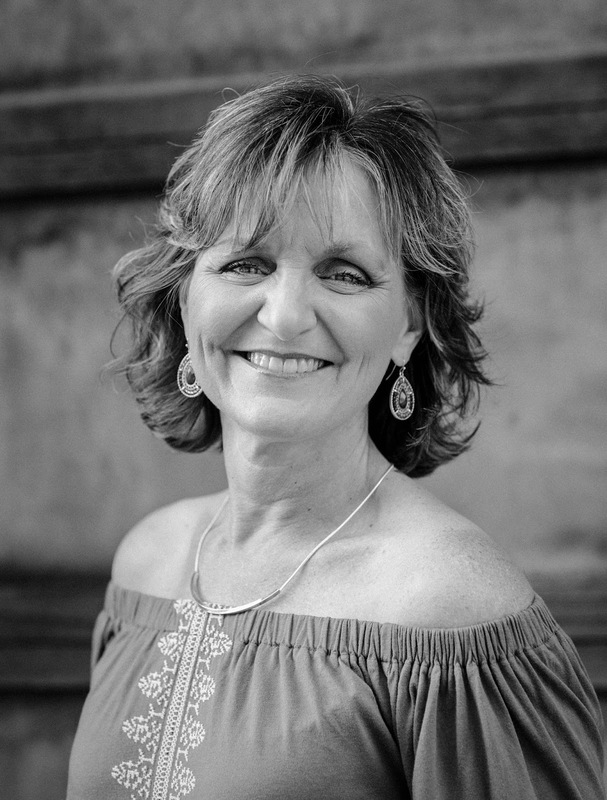 Your admission gives you entry to enjoy shopping, demonstrations & our special guest speaker….Carol Spinski of Raised In Cotton! She will be speaking on finding your bliss! Lunch will be available from Gina’s Cafe and Catering one of our favorite local eateries. Also Junk Mafia will be broadcasting LIVE!!! Part of your admission will also go to a charity that supports women and you can enter to win some of our fabulous giveaways! Each student will be provided with a beautiful kit of salvaged treasures from Grandma’s Jewelry Box including found objects and reclaimed pretties. Along with the found treasures your kit will also contain wire & findings to put together your unique, one of a kind treasure. I encourage you to bring your own treasures to make it uniquely your own. You will learn simple wire techniques, connecting your treasures & aging your metals. This class is great for the beginner or the advanced. All levels encouraged to come & create together! Limited seating so Register early! 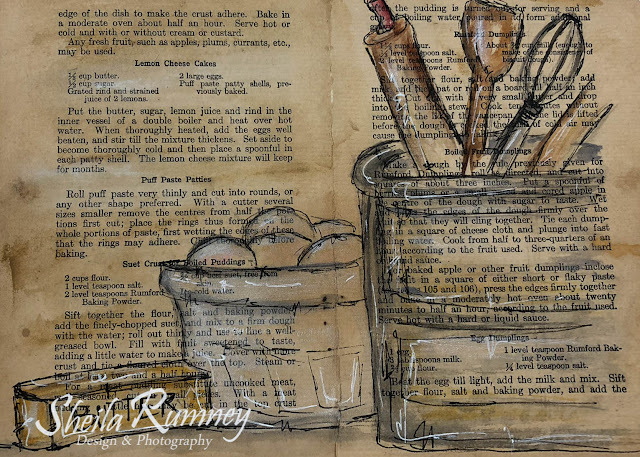 “A good snapshots stops a moment from running away.” Eudora Wetley. 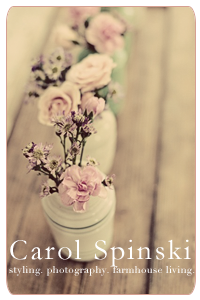 Capture your memories & moments in this vintage inspired album. Gather your photos that stitch your story of family, friends & precious moments. This album is filled with vintage findings, keys, lace, fabrics & papers. Showcase this album in a vintage strawberry container that comes in your kit. Bring your girlfriends and capture your memories. Do you want to be a lucky winner??? I will be giving away one of my $50 Workshops for FREE! To enter for the giveaway just leave a message on this post telling me what your favorite workshop is or one that you would like to see in the future. Not in the St Jo, Missouri area so you are unable to attend? You can still WIN!! 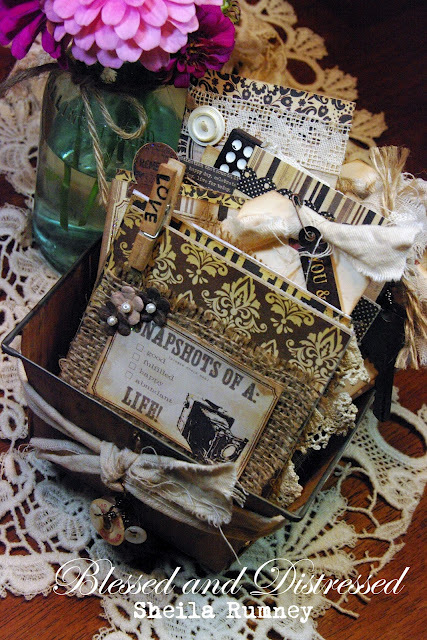 If the lucky winner isn't in the area, I will be sending the lucky winner your choice of one of my workshops (Grandma's Jewelry Box or Snapshots of Life) in a kit. Complete with 4-color pictures and instructions! oh wow... both of your workshops look amazing!!!! i love to collect old jewelry... but old bits of paper and treasures are also so much fun. i think the jewelry workshop is what i would choose. and i'm in kansas city sooo..... keeping my fingers crossed!!! You don't know how badly I want to attend! I really hope this event becomes an annual event, because I would love to attend next year! 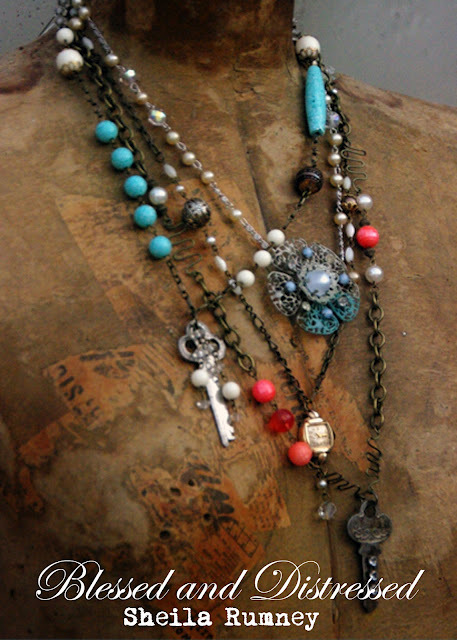 You know my jewelry-making skills are not good;) But I wouldn't mind winning the Snapshots kit...beautiful! I am not in the area but I would love to have one of the kits. I think I would just have to have you surprise me on which one. Thanks for sharing! Oh, Sheila! I WISH I lived in your area! I would be there to learn from you in a heartbeat! But, since I'm not, I would love to win one of your beautiful classes! What a sweet & generous woman you are to offer it to one of us! Oooh I love the Grandma's Jewelry Box class. That would be such a fun project. I wish I lived near you.Both projects are beautiful. My preference, if I should be so lucky, would be Snapshots of Life. Thanks for the chance to win. I would love to brush up on my jewelry making skills! 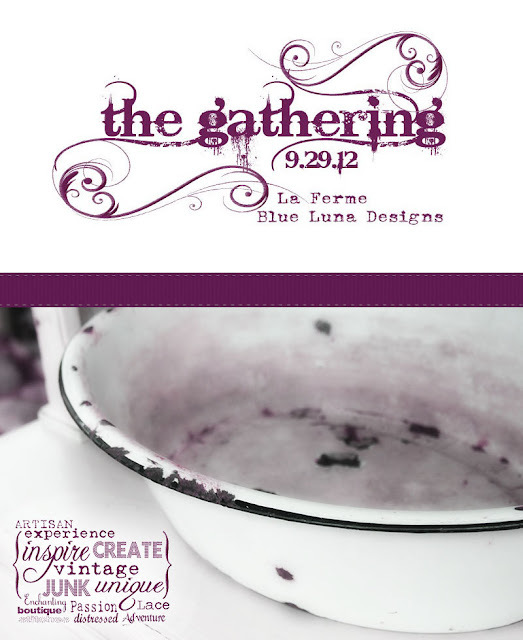 This looks like a blast, and I would love to come to one of the workshops AND shop after of course!! I shared on Facebook and pinned on Pinterest! Thanks for offering this wonderful giveaway! Your projects are gorgeous! I hope all of you have a wonderful, creative day at The Gathering. Can't wait to hear all about it!